Judo Clinic with Ed Liddie. 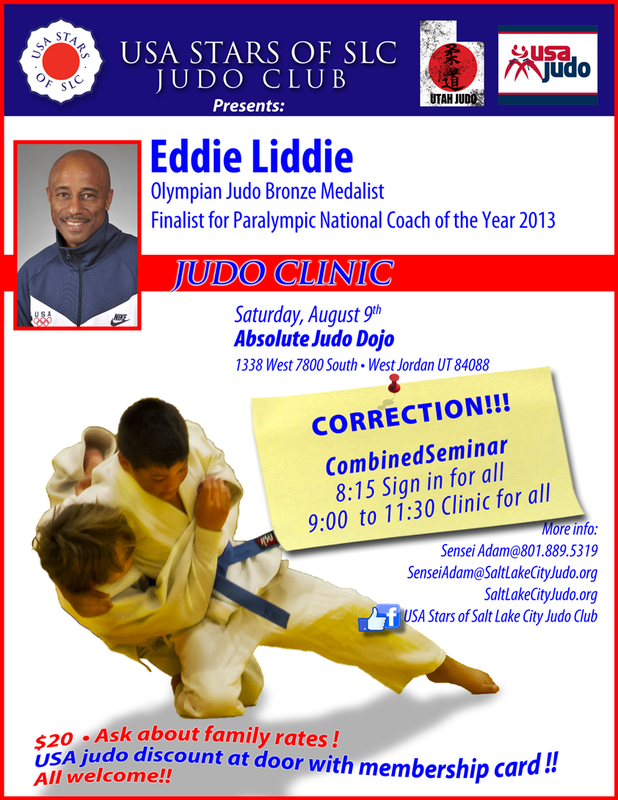 Judo Clinic with Eddie Liddie here in Salt Lake City this Saturday, August 9th at Absolute Judo Dojo. NOTICE! There's a correction in the Time! $20 • Ask about family rates ! USA judo discount at door with membership card !! All welcome!! This entry was posted in Uncategorized on August 6, 2014 by taoz50.